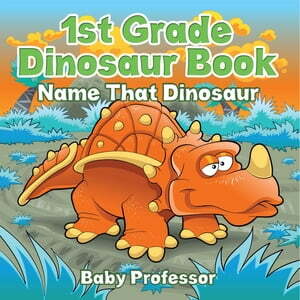 Collins Booksellers - 1st Grade Dinosaur Book: Name That Dinosaur by Baby Professor, 9781541900295. Buy this book online. Dinosaurs have really long and complex names; but surely, they have nicknames. Can you name them? If you can, then you’re a star. If you can’t yet, then you need some help. Use this wonderful resource to know your dinosaurs, and maybe a fact or two about them, too! Grab a copy of this educational resource today!